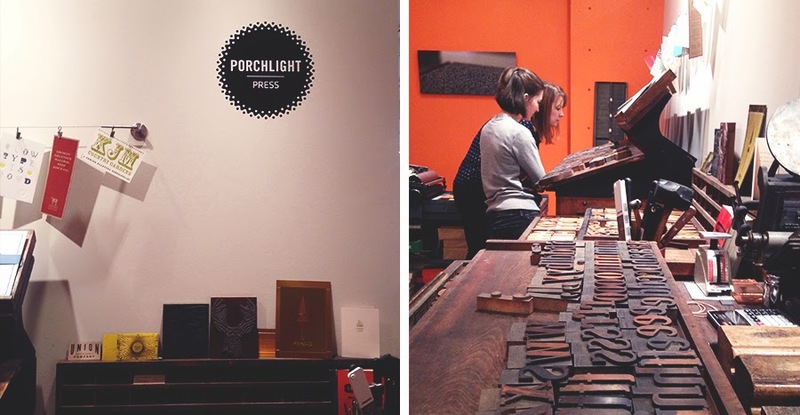 Last Sunday I was lucky enough to attend a letterpress workshop at Portchlight Press, a local Vancouver letterpress studio. 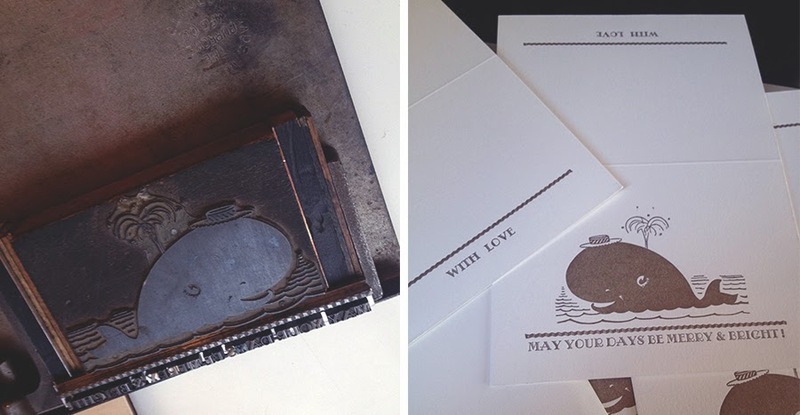 They design custom made stationary merging the techniques of the letterpress with the computer. Heather Braun and her two colleges, Ryan and Alex head the workshop. The three of them met basically through their machines, put their heads and machines together and vola! You walk into their studio and it's a paper lovers paradise. No joke. The workshop is designed for newbies, experts, non designers, designers alike. It is scheduled for four hours, however most people linger around to see everyone's designs. Heather and her team begin with a background of the studio, followed by a crash course in printmaking, and then send you on your merry way! The projects vary depending on workshops. For this one, the project was to design a christmas card. We then make 25 prints, five for the studio to keep for examples and 20 for ourselves. There is an option to buy more cards at an additional .25 each. Great deal! Heather and her team had laid out all the type blocks they collected over years of rummaging through garage sales, dumps and flee markets. Immediately I took to an image of a whale...random I know, but I wanted to go for the unusual christmas card look. The workshop recommends to plan your design in advance. I planned a pop-out folded card, but it was a bit too complicated for the scope of the workshop. Nevertheless, I loved the end result! Goes to show your first idea isn't always the best! As a first timer to letterpress, I have to say this is one of the coolest workshops any designer could do. You are stepping twenty years back into technology and designing. By doing so, it makes you look at details in a very different way. You are forced to slow down, become more hands on and really think about the design process. I loved every bit of the workshop and totally geeked out. I mean, how could any reasonable type nerd not geek out? You are spending four hours rummaging through drawers and drawers of old type, measuring each block and spacer, trying to visualize the final output. All the while, Heather and her amazing team are there helping you along every step of the way. It was very hard to leave at the end of the workshop. I wanted to stay and design another card! In fact I signed up for their workshop at Got Craft December 14th. 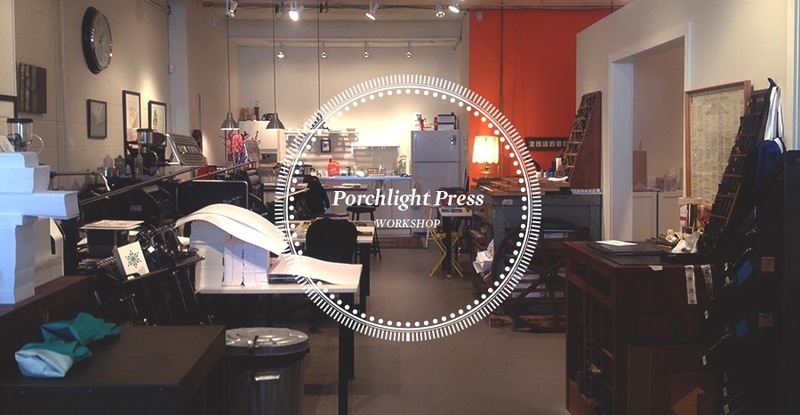 You can find information about Porchlight Press and their workshops here. Also, they'll be hosting a two hour workshop at Got Craft on December 14th. You can sign up for the workshop here. Sign up soon! There are only 12 spaces available! Along Came The Fold is a design and lifestyle blog based in Vancouver B.C. We love everything from maps, type, color and diys galore! Win A Globe Lamp from Along Came the Fold!